I always enjoy seeing people’s offices. Whether cluttered or clean, spartan or well stocked, I just really like offices. I also have a bit of a problem with office supplies. Like, I spend an hour in the Office Max, wanting EVERYTHING. I think it all goes back to when I was a kid and my parents owned their own business. There were always loads of office supplies around that I would play with and organize all day. Now, if this blog has taught me anything, it’s that I am not alone. If I enjoy seeing people’s offices and what they use, then maybe someone will want to see my office and what I use. I’ll share my current “office” in another post later, but in the mean time, I’m going to show you my favorite products. As an FYI: all the products listed below will have a link to Amazon. Why Amazon? Because it’s so super easy to find everything there. But as an added bonus, if you purchase anything through these links, I get a small commission to help pay for this blog. If you aren’t comfortable with that, by all means, please just put the items in your cart and simply wait until later to complete the purchase (the affiliate link only works for so long after you click it). My favorite thing in the office is my calendar. Each year, I buy one of these and they’re kind of hard to find. It’s called a desk pad. You fill it out weekly and then there’s a place for your notes. While I also use an online Google Calendar, I really like this one because each weekend, I am reminded of what is upcoming and what I need to do to be ready. Nothing sneaks up on me. 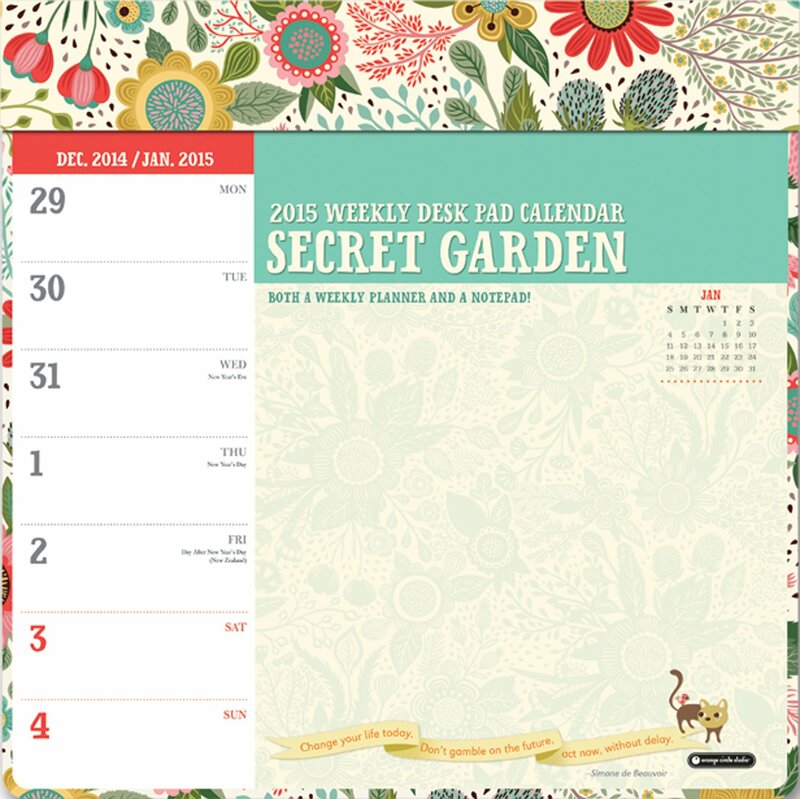 Most desk calendars are monthly, which I find to be less productive (for me). I’ve recently only been able to find this kind through Calendars.com and Amazon. The next product on my list is this set of pens from Paper Mate. These are Paper Mate Quatros. Each pen has 4 colors. This multi-pack has 2 sets of black, blue, green & red and 1 pen that is more pastel pink, purple, light blue & light green. I not only have these in my office, but I carry them in my purse. They write really well and it’s super handy to have multiple colors with you all the time. I like to use different when I make notes (like on the calendar) because it separates ideas and makes it visually easy to see different notes. Next up is highlighters. 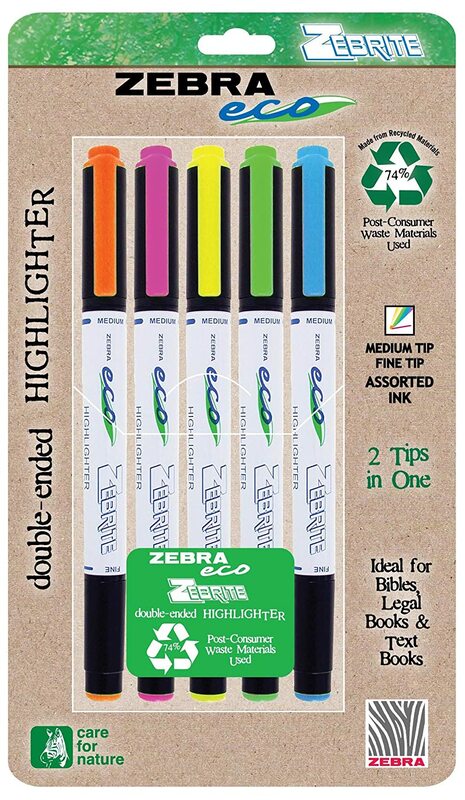 I love to use Bible highlighters. They work great, don’t bleed through paper and have two sides: one for highlighting text and one for underlining. They’re incredibly useful. This is another thing that I also usually carry in my purse. Also, I always have multiple colors of highlighters so I can mark different things on the same page. My favorite: Orange. I use it for everything. 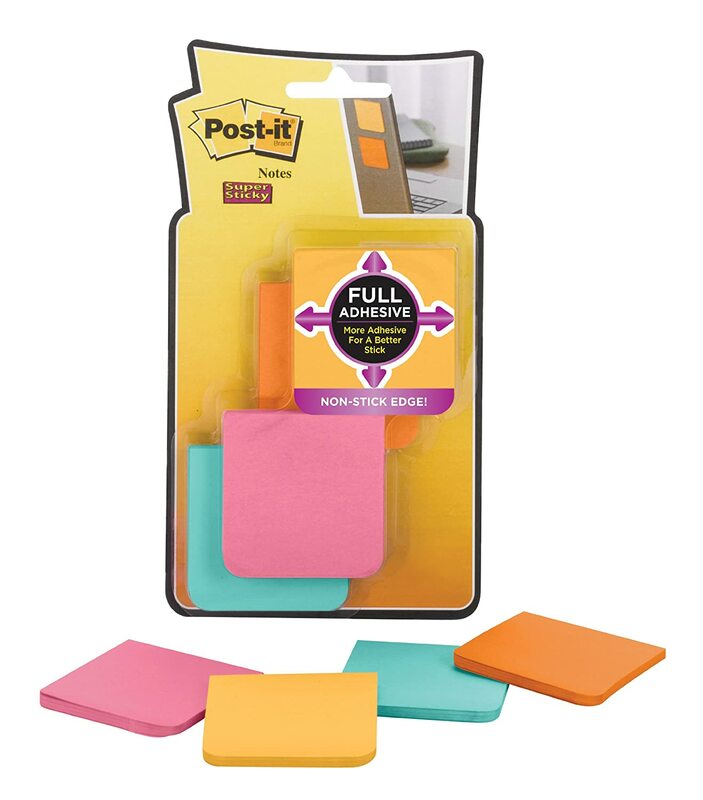 Last on our list of awesomeness is Post-It Super Sticky Full-Adhesive notes. It’s that “full-adhesive” part that packs the punch. As much as I love Post-Its, they sometimes get pushed off or they just aren’t strong enough to handle their job. Enter the full-adhesive notes. 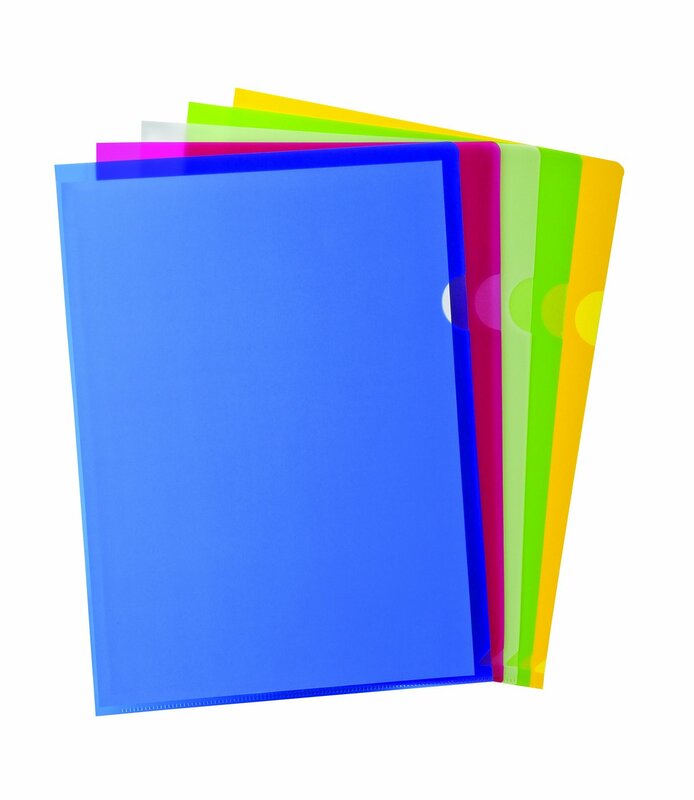 These are fantastic for marking pages in books or planners or for marking pages in a document that needs signatures or sticking around the house as reminders. They’re fabulous and an absolute must have! There are a ton of other office products I highly recommend, but just didn’t make the top 5. If you want to see more, you can find them with brief descriptions under the “I Recommend” tab at the top of this page. I hope you all enjoyed this peek into my office nerdy-ness. What are some of your must-have items in your office? I’m going to need to check out the highlighters – I hate finding out my highlighter bleeds through. Thanks for linking up to Awesome Life Friday! We will be pinning this post – can’t wait to see what you’re sharing this week! I love post it notes, I have them all over in all different shapes, sizes and colors! 🙂 Great post! Ooh! Post Its are so much fun. I’ve passed my obsession with them on to my 8 year old. We Post It everything! I love office supplies. Those post its look awesome! I have recently discovered gel highlighters. They are my favorite. Ooh! I’ve never heard of gel highlighters! I’ll have to look for those!